Sam Adams has had extensive teaching experience across the primary age range. He started his teaching career as a Foundation Stage practitioner and, prior to becoming a consultant, he worked in Year 6. His current work with primary schools involves regular opportunities to team-teach in the classroom alongside teachers which he feels is important to maintain credibility with the staff that he works with. Sam has also had in-school management experience as a Deputy Head teacher, an Assessment Coordinator, a Literacy and Mathematics Subject Leader (taking both subjects through an Ofsted inspection), a SENCO and a KS1/Early Years, then KS2, Team Leader in West Yorkshire schools. Sam was seconded to a northern Local Authority in 2000 to become a Numeracy Consultant. The secondment was extended and he became a permanent member of the Numeracy team. 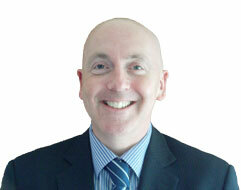 In 2004, his role changed and he became one of the two Local Authority Improving Schools Programme (ISP) Consultants. Over the next six years, he became the Local Authority’s Lead ISP Consultant and was also asked to co-lead the Yorkshire and Humberside ISP Hub. In January 2010, Sam left the Local Authority to become a co-director and the Mathematics Consultant for the newly-formed Education Works Ltd. This work has allowed Sam to support teachers and children in the classroom, senior staff members, Teaching Assistants, governors and parents – e.g. through interactive workshops. In his spare team, Sam writes sketches and comedy one-liners – including the radio 4 show ‘I’m Sorry I Haven’t A Clue’ – following a brief, extremely scary toe-dip into stand-up comedy. To talk to Sam about Mathematics Approaches, call on 07769 179029 or email sam.adams@educationworks.org.uk.